Amantadine is used for preventing and treating certain types of flu as well as to treat Parkinson disease and uncontrolled muscle movements caused by some medicines. 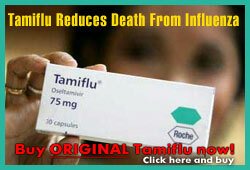 Amantadine is used for preventing and treating certain types of flu. It is used to treat Parkinson disease and uncontrolled muscle movements caused by some medicines. It may also be used for other conditions as determined by your doctor. Amantadine is an antiparkinson and antiviral agent. How Amantadine works against the flu is not known. It may block reproduction of the virus and decrease the ability of the virus to get into the cells. How Amantadine works against Parkinson disease is not known. It may increase a certain chemical in the brain. If you miss a dose of Amantadine, take it as soon as possible. If it is almost time for your next dose, skip the missed dose and go back to your regular dosing schedule. Do not take 2 doses at once. Store Amantadine at room temperature, between 68 and 77 degrees F (20 and 25 degrees C). Store away from heat, moisture, and light. Keep Amantadine out of the reach of children and away from pets. Amantadine may cause drowsiness, dizziness, or blurred vision. These effects may be worse if you take it with alcohol or certain medicines. Use Amantadine with caution. Do not drive or perform other possibly unsafe tasks until you know how you react to it. Limit alcohol intake while you are taking Amantadine. Talk with you doctor before you drink alcohol or use medicines that may cause drowsiness (e.g., sleep aids, muscle relaxers) while you are using Amantadine; it may add to their effects. Ask your pharmacist if you have questions about which medicines may cause drowsiness. Amantadine only works against certain types of the flu; it does not treat other viral infections (e.g., the common cold). You usually should not receive a live nasal flu vaccine within 14 days before or 2 days after you take Amantadine . The vaccine may not work as well. Talk with your doctor before you receive any vaccine. severe allergic reactions (rash; hives; itching; difficulty breathing; tightness in the chest; swelling of the mouth, face, lips, or tongue); aggression; agitation; confusion; depression; fainting; fast or irregular heartbeat; fever; hallucinations; memory loss; mental or mood changes; muscle problems (e.g., spasms, uncontrolled movements); paranoid thoughts; personality changes; seizures; severe or persistent drowsiness or trouble sleeping; shortness of breath; sore throat; swelling of hands, legs, feet, or ankles; thoughts of suicide; trouble urinating; unusual anxiety or irritability; vision changes. Amantadine is to be used only by the patient for whom it is prescribed. Do not share it with other people. Ampills offers Generic Amantadine without prescription.